At Matrix Fire & Security, we understand the importance of home security. If you want to protect your Oxford home, we offer an extensive range of services and systems that can meet both your domestic and commercial security needs. The biggest reason to consider investing in a home security system is the protection it provides from intruders. The very presence of a home security system is enough to deter a home or property from break-ins. A home security system also offers peace of mind to families and businesses, knowing they are protected from a variety of undesirable home security situations. Here you will find the services that Matrix Fire & Security can provide to homes and businesses in and around the Oxford area. For over 9 years, the team at Matrix Fire & Security have been supplying and installing excellent security systems to domestic and commercial properties in Oxford and the surrounding areas. This includes Intruder Alarms, Security Lighting, Motion Sensors and more. We have always, and still do, pride ourselves on the ‘One Stop’ service we offer to our customers. From the initial stage of discussing which of our security systems would be best for your property to the final stages of installing, servicing and maintaining your new security systems, we provide a start-to-finish service tailored to you. 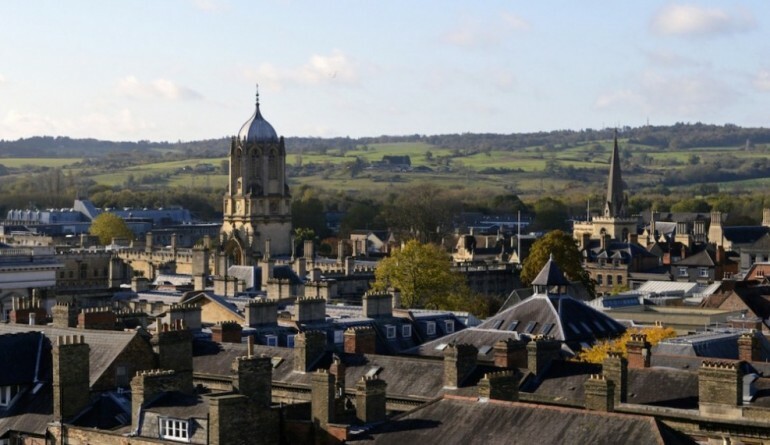 We have a team of extremely skilled engineers who can help to guide you through all of our security systems, explaining the processes of installation and maintenance, so that you are always kept aware of the work that’ll be done in your Oxford property. At Matrix Fire & Security, you can have peace of mind knowing you’re getting the best security systems from experts who understand how important home security is for your family and home. CCTV systems are becoming a very popular security solution for both homes and businesses. They come with a variety of benefits; you can see what’s happening in any number of areas or locations around your property, it is a relatively low cost and adaptable security solution, and their presence physically deters crime. Matrix Fire & Security don’t just supply CCTV systems, we can also install them in your property and we offer comprehensive maintenance packages. We only supply security systems with high resolution, HD technology to ensure that you get the best possible quality on your recorded images. Whether you require a single camera or a complex system, our expert team will be able to help. We can offer various different access control options for both commercial and domestic properties in Oxford and the surrounding areas. Access control is ideal for knowing who is coming and going, detecting strangers and ensuring no more lost keys. You can rely on us to find the optimum solution that suits your security requirements, such as mobile access control or fingerprint access. We offer a free consultation service, allowing us to visit your Oxford property to advise you on the best access control solution for your particular security needs. We’ll also give you a free, no-obligation quote that is bespoke to your requirements and budget. At Matrix Fire & Security, our service doesn’t just stop at the installation, we can also offer maintenance packages for your security systems, ensuring that it is working effectively all year round. Maintenance packages can also include emergency call-outs to your property in Oxford in the unlikely event your access control system stops working. If you are looking for security systems that will protect the entire perimeter of your property in Oxford, Security fencing could be the perfect solution. At Matrix Fire & Security, we can offer a variety of different security fencing options for both domestic and commercial buildings that can be tailored to suit your specific property requirements. Security fencing doesn’t just protect the perimeter of your building, it acts as a physical deterrent, is adaptable to your needs, and can offer a pleasing aesthetic to your property. Our team of experts can both supply and install fencing solutions for domestic and commercial clients. In 2010, we acquired SRG Fencing Ltd, and since, our portfolio has continuously grown and we’re now able to offer a vast range of products. We offer are roll top fencing, chain link fencing, fence spikes and more. Have you been thinking about getting automatic gates to increase the security of your property in Oxford? At Matrix Fire & Security, we offer a wide range of different electric automatic gates for any property. Whether it’s single lead pedestrian automatic gates or large scale industrial automatic gates, we’ll have the solution that will best suit your requirements. Automatic gates are excellent for improving safety and convenience, as well as keeping unauthorised people off your property. Automatic gates also improve the look of security on your property which can be a deterrent to break-ins and theft. Our team is able to come and visit your property in Oxford to discuss what your particular security needs are to create a bespoke security solution for you, with a free no-obligation quote. We can offer full drawings, fabrications and installation services for automatic gates. And our service doesn’t stop as soon as installation is complete, we also offer maintenance packages for your new automatic gates, giving you piece of mind. We pride ourselves in being a company that you can trust to provide you with excellent security systems. We don’t just stop at installing your system, we also offer maintenance packages so that you can ensure that your system is working all year round and your risk is never increased. Have a browse through our case studies or read what our customers have said about us on TrustATrader. We’ve built up an excellent reputation for great products, value and customer service over the many years we’ve been in the industry. If you’d like to find out more about the different services and security systems we offer to the Oxford area, get in touch with the Matrix Fire & Security team. We’re based in Aylesbury, but are only an hour drive away from Oxford via the A418, making it easy to serve the area. Give us a call on 01296 614440 or fill out our contact form and a member of the team will be in touch as soon as possible.